This is one of my favorite weeks of the year. 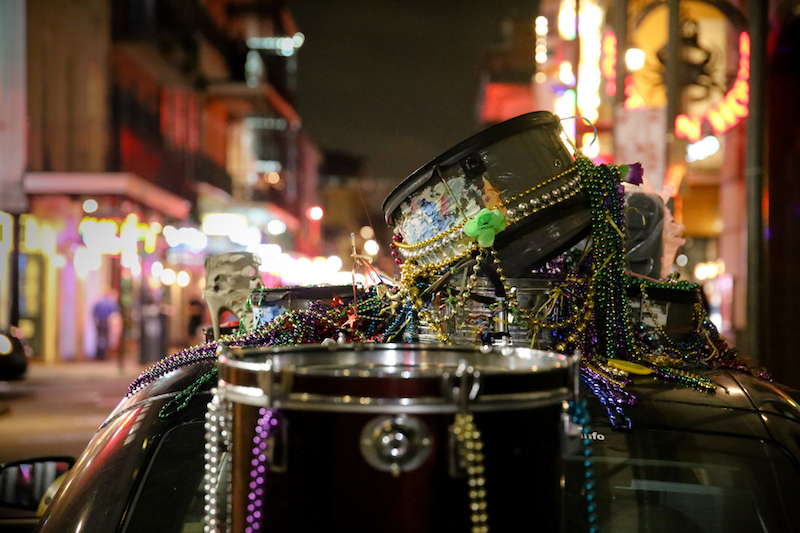 It’s fun to watch everyone’s orbit slowly shift into the overwhelming pull of Mardi Gras. There is music everywhere and the hits keep on coming. Here are some can’t miss highlights of local music this week. Tonight (Feb. 28): Shamar Allen & the Underdawgs are at Bullet’s Sports Bar while the New Orleans Klezmer Allstars are with Zhenya at Siberia. Friday (Mar. 1): The Soul Rebels are at the Blue Nile while the Pinettes Brass Band are at Bullet’s and Helen Gillet plays the Circle Bar. Aurora Nealand and James Singleton are at the SideBar. Saturday (Mar. 2): Morning 40 Federation play a reunion show at BJ’s Lounge and Astral Project plays two shows at Snug Harbor. Sunday (Mar. 3): Big Chief Monk Boudreaux and John Gros are at d.b.a. while Anders Osborne is at the House of Blues. Lundi Gras (Mar. 4): Cyril Neville and Swamp Funk are at d.b.a. and Charmaine Neville is at Snug Harbor. Mardi Gras (Mar. 5): The Joe Krown Trio is at the Bombay Club and Tuba Skinny is at Three Muses while the Mardi Gras Indian Orchestra at the Hi Ho. As usual, there are a couple of venues worth keeping an eye on all week. Tipitina’s has three nights of Galactic featuring Erica Falls on Friday, Saturday and Monday. And Sunday (Mar. 3) is Sketchy Sunday with Johnny Sketch and the Dirty Notes for the Bacchus Brawl. One Eyed Jacks has Big Freedia’s FREEDIA GRAS on Saturday (Mar. 2) and Sunday (Mar. 3). On Saturday, she is joined by Pell and KP and on Sunday by Sweet Crude. On Monday (Mar. 4), Quintron and Miss Pussycat are joined by Katey Red, Scott Yoder and more. I promise, I tried to keep this list short but there are just too many possibilities. No matter where you are this week, you’ll be a short distance from some of the best music our city has to offer. Drop in and check it out. Tonight, Mannie Fresh is at Republic. Tomorrow, the Dropkick Murphys are at the Fillmore while Noname plays the Joy and Galactic play Tips. Sunday, The Quickening are at Gasa Monday the Hickoids are at Gasa. Wednesday, you can nurse your hangover with John Royen at the Bombay Club.